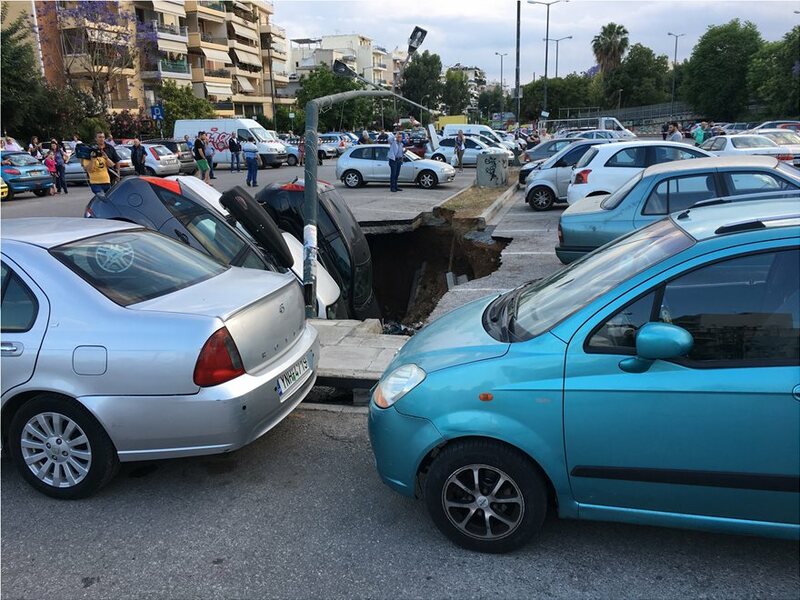 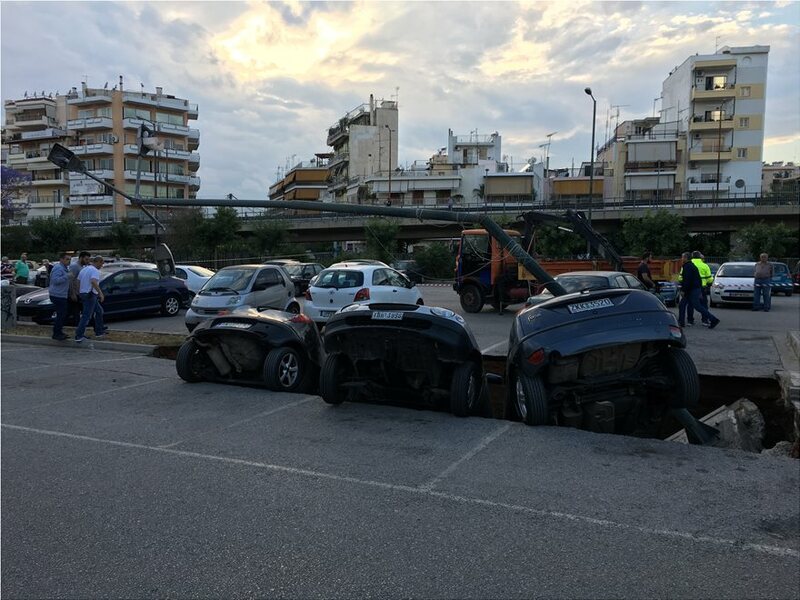 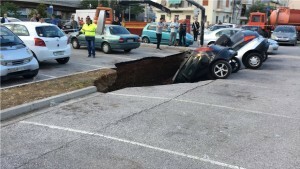 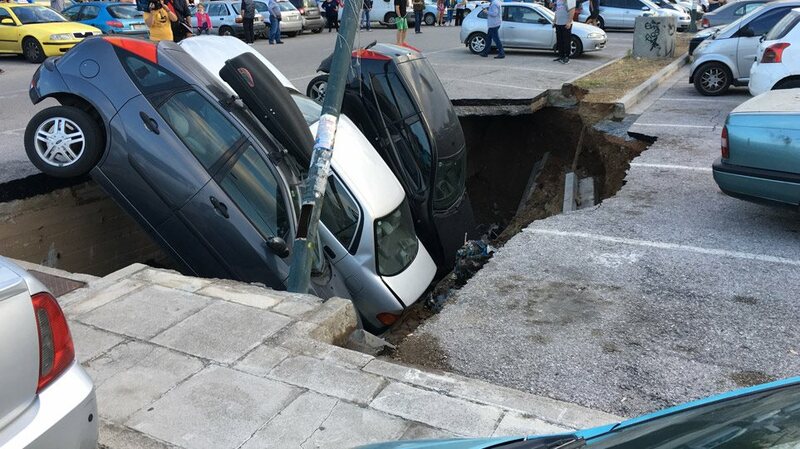 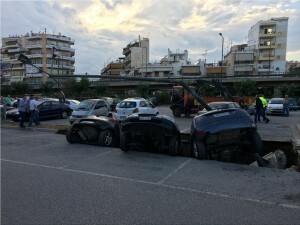 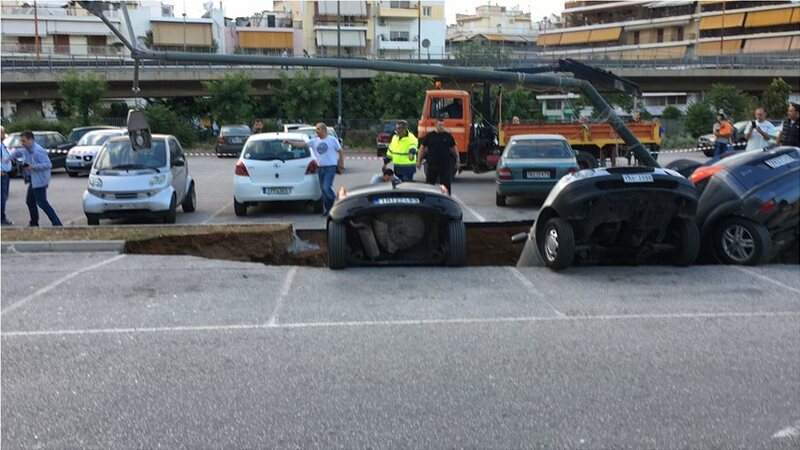 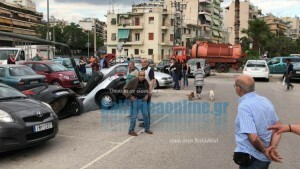 A sinkhole “swallowed” parked cars in a parking lot in Kallithea. 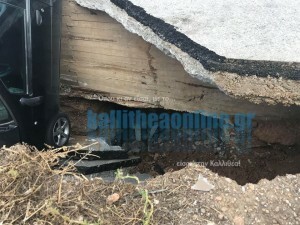 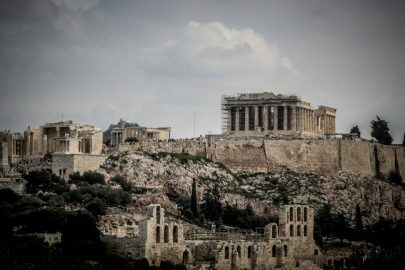 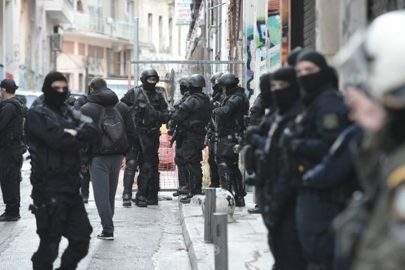 According to kallitheaonline.gr, at least three cars fell inside the sinkhole, leaving their owners wondering if and how they will be compensated by their insurance companies. Nobody has been injured. 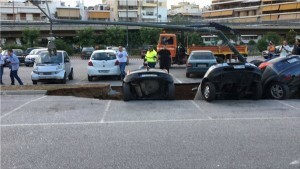 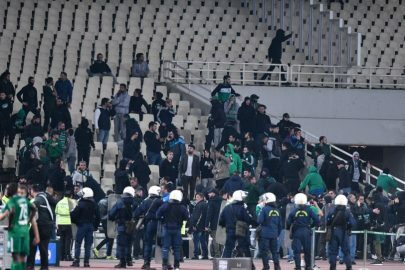 The authorities are investigating the causes of the phenomenon.